Voice calls, instant transfer of messages and files. Easy to install: SafeChats provides a military-grade protection of text messages, file transfers and voice calls. Simple and friendly SafeChats is all you need to feel secure every day! We are pleased to offer you a high-performance, intelligent and feature-rich product. Created with a security in mind, it’s been designed committed to your privacy. 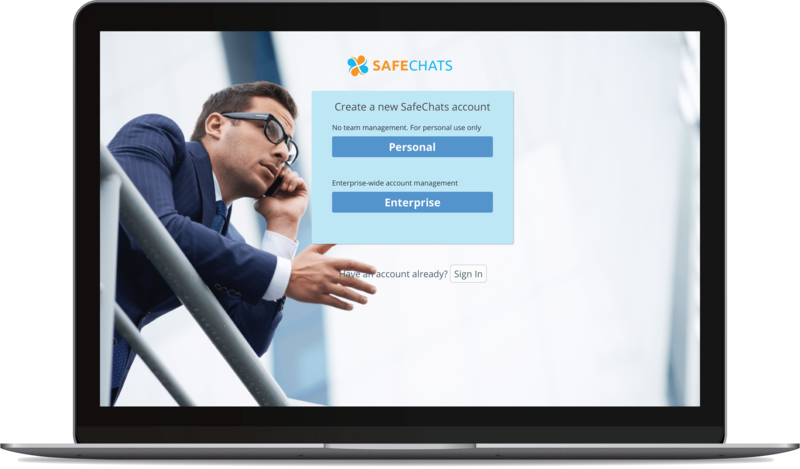 SafeChats — is a cross-platform solution, which ensures a military-grade security of your business and private communications. SafeChats either can be used as a standalone solution or can be integrated with an existing software infrastructure. 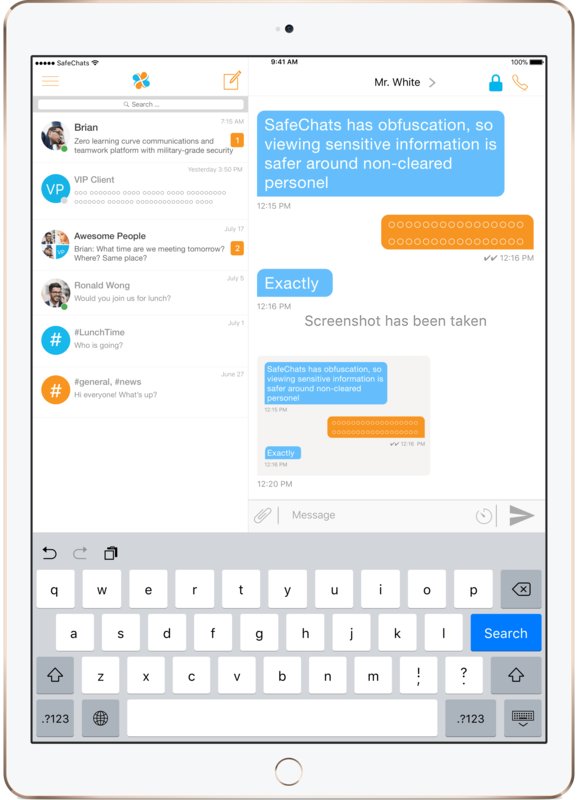 Easy-to-install SafeChats is available for PC, Mac, iPhone, iPad and Android devices. SafeChats is always with you! Corporate app functionality makes remote work efficient, even if your colleagues and partners are all around the world. Easy-to-use account and contact list management throughout whole organization, including your enterprise team, customers, partners or consultants. The app can be launched and distributed under your own personal or corporate brand. SafeChats also can be integrated into existing software infrastructure. Industry-standard cryptography algorithms used and trusted by leading world experts in cybersecurity helps to keep business and personal communication under your exclusive control. Is the data you daily deal with sensitive? We know how critical to keep it safe. Enrich your data management and simplify your communication flow in a secure way!